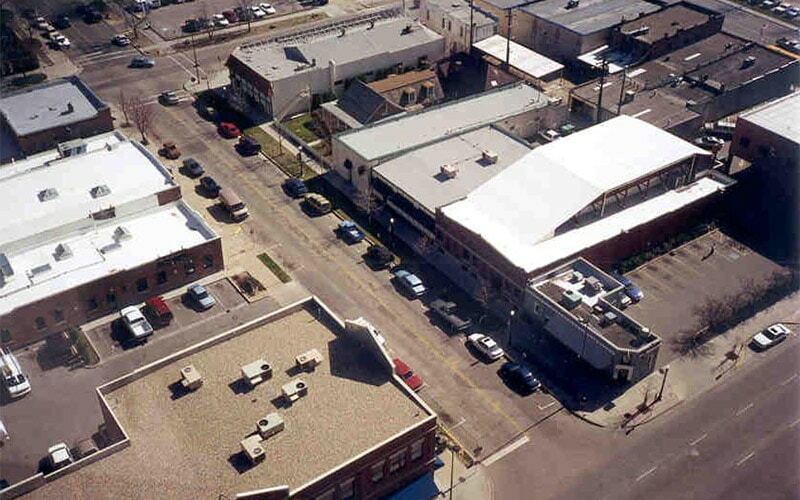 Businesses and non-profit organizations worked diligently for thirteen years to create a unique ethnic area in the heart of downtown Boise that the community could become proud of. 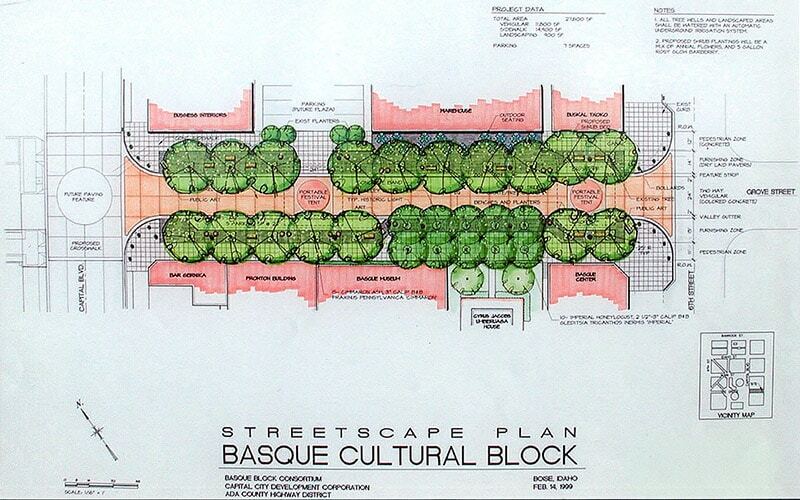 The primary goal was to provide a more pedestrian friendly environment and strengthen the identity of the block’s unique Basque heritage. The block was designed with street trees, planters for seasonal color, historic lights, and other site furnishings. 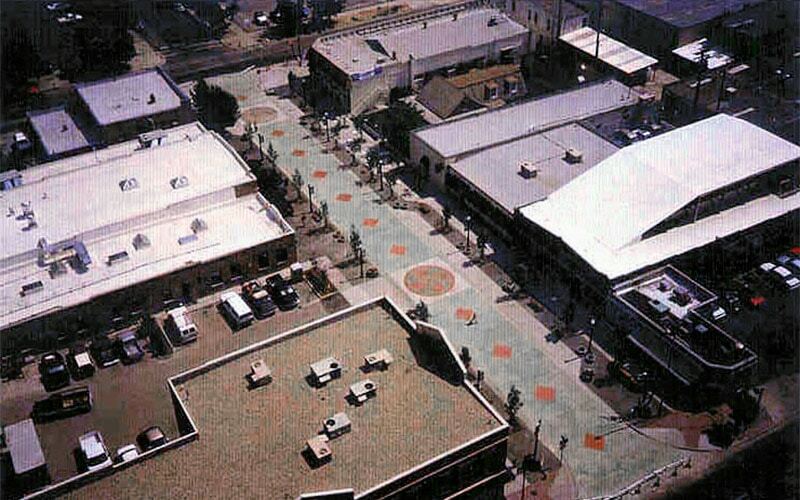 Two unique features characterize the streetscape: First, there are no vertical curbs and second, symbols and colors representing Basque Culture have been integrated into the concrete paving. 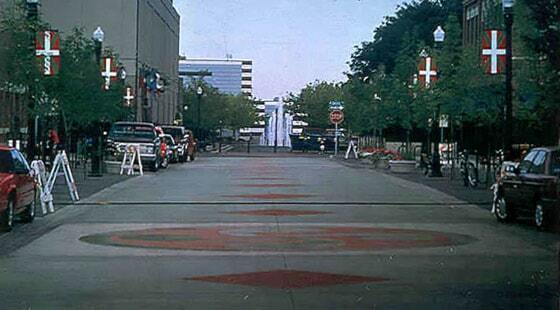 This was done to expand the “plaza affect” of the space. Grove Street, normally open to vehicular traffic, can be closed down for special events. 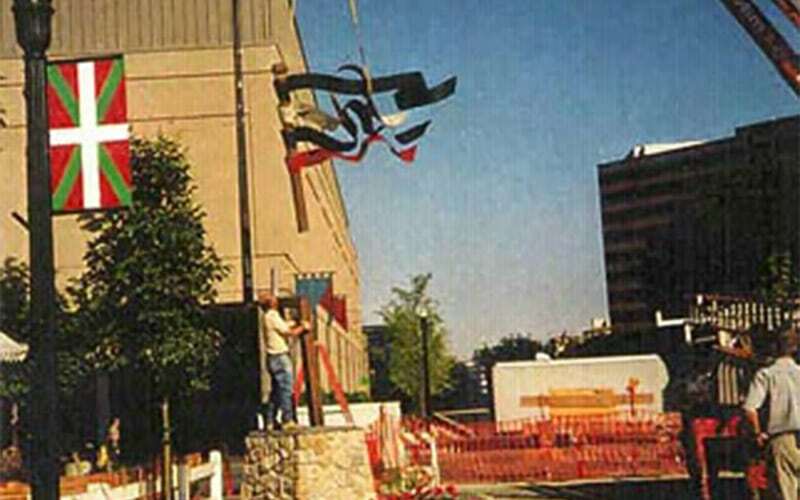 There are permanent anchors built into the street to accommodate two 36-foot square canopies that can be set up for such events. 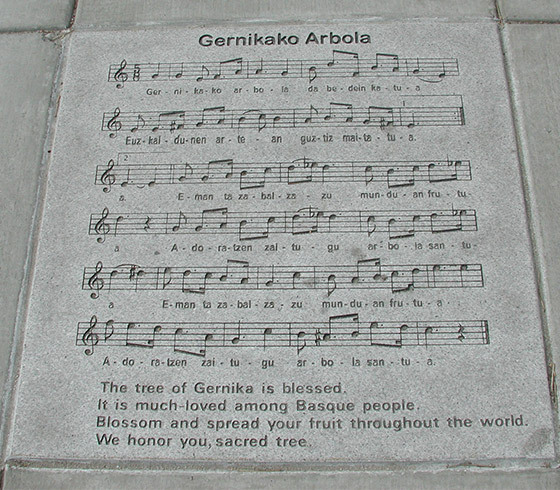 Public Art was an important part of the project and it too reflects elements of the Basque Culture.